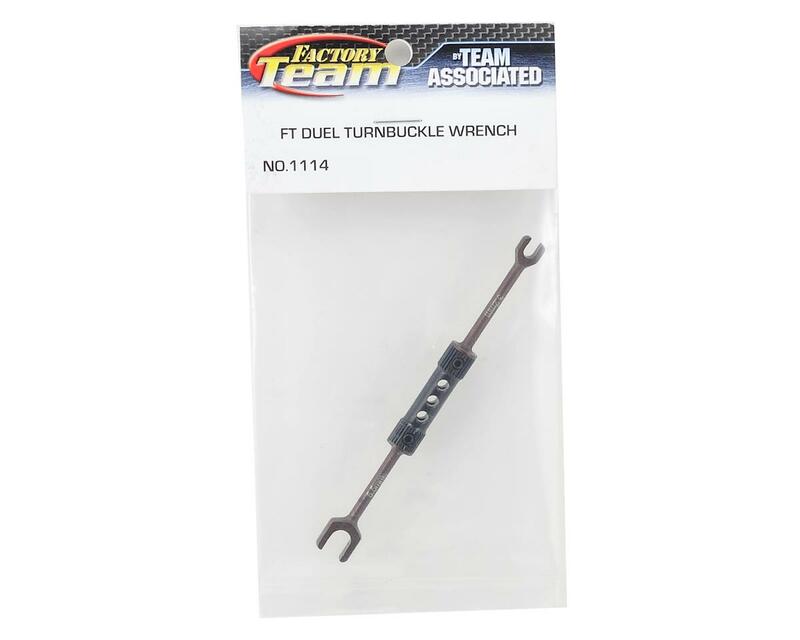 This is the Team Associated Factory Team Aluminum Dual Turnbuckle Wrench. 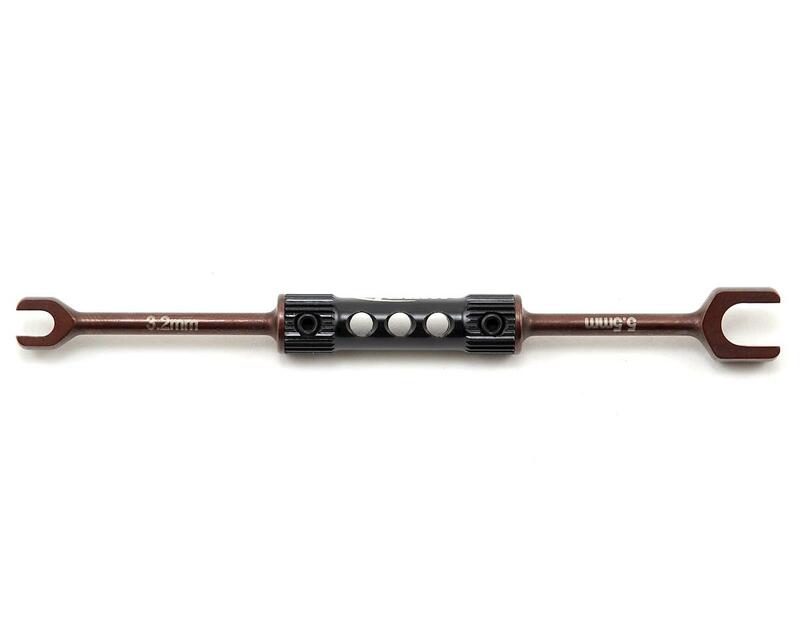 This Factory Team wrench is designed for both 1/10 scale turnbuckles (3.2mm) and 1/8 scale turnbuckles (5.5mm). This wrench's long reach allows rotation of the turnbuckle in tight areas and provides extra leverage. Made from hard anodized steel, this Factory Team Dual Turnbuckle Wrench is the perfect complement to any racer's tool box. Looks great , works perfect, also although it is not mentioned in the compatibility list, it does fit the B6D. Very happy with this product. Bought this for my B3.1e .Great little wrench for turnbuckles and more, has a good solid weight and feel to it.